We offer our clients the option of catered camps or self-catered camps. Basically, a self-catered camp is when the client will cater for their own meals and a catered camp is when Camp Zenith will cater for the client. We offer a wide variety of meals at affordable rates. Our menu is full of appropriate meal options for all ages. In addition, it does happen when a few people will have special dietary requirements (eg: vegetarian or food allergies), provided that we know in advance, our chefs will whip up something according to their special dietary requests but as close to what the rest of the group is having. 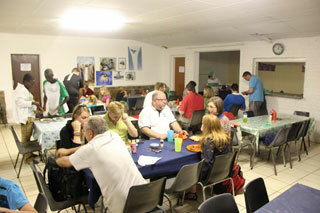 We do have standard meal times (Breakfast @ 8:00, Lunch @ 13:00 and Supper at 18:00) but we are also very flexible. If our mealtimes dont fit your programme, let us know and we will slot in with your programme. It is advisable that groups be ready for meals at the agreed meal times as food honestly tastes its best the time it is prepared for. 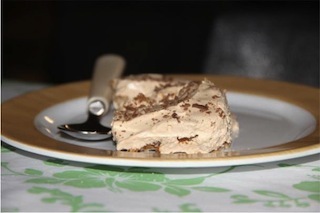 Cutlery and crockery by default is not included in the price as most clients prefer to have a cheaper camp and bring their own cutlery and crockery. We do have cutlery and crockery avaialbe for hire. We have 2 options: option 1) Glass Crockery and Cutlery, this is then washed by the campsite staff. Option 2) Plastic Crockery and Cutlery, these are washed by the campers. Groups bringing their own cutlery and crockery can wash their dishes at the wash up areas after meals. 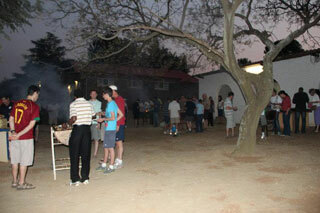 Potjie - Working in groups, campers can cook their own potjie for supper. A very popular option. Pancakes - Only offered on facilitated camps. Campers cook their own pancakes and load it with all sorts of fillings. Groups of 250 or more with experienced caterers, because they might qualify for bulk food supplies and could possibly come in slightly cheaper than the campsite catering for them. 25-52 people: Book out Hillside Haven which is our self-catered accommodation. 200+ people: Book out both Valley View and Hillside Haven Campsites. For self-catered groups there is a kitchen fee and this covers the cost of the gas as well as all equipment needed to cook. It does not include cutlery and crockery for each individual, this can either be hired or brought by each individual. Many clients are not sure which option is best for their group, so we thought that we would high-light a few points that might influence the catering decision. Most groups that choose self-catering do so because they believe that it will be cheaper, and in most cases it either costs the same but with less food or it costs more. Why is this? The Accommodation rate on a catered camp is cheaper. Self-catered groups pay more for the facility to cater for themselves. There is a kitchen fee that catered groups dont have to pay. This is due to the cost of gas and use of equipment. The accommodation rate of the cooks is an additional charge that gets overlooked in many precamp budgets. Due to the quanities that we buy for our supplies, we get our supplies higher up the chain of distribution and as a result, our meals are higher value for money. Self-catered groups often have to pay the same rates that one would get at a super market and that means getting less for more. There is cost in time and fuel to shop for the supplies and to transport these supplies to the campsite. This also is often overlooked in precamp budgets. Experience: our staff cook for large groups very often and can therefore have meals ready on time and this means that the programme flows smoother. Often inexperienced cooks do struggle to be ready on time and this means that the whole programme falls behind. A common problem with self-caterd groups is the fear of not having enough leads many to buy too much. We have seen bins full of untouched food because the cooks over spent on supplies and over cooked. This often leads to the cost of the self-catered camp being more than a catered camp would have cost. Another problem we see often is many self-catered groups either dont buy enough supplies or forget ingedients. In general, we strongly advise clients to choose the catered option as in our experience most clients have a better experience with a catered camp. There are exceptions, there are some clients who should choose catered as the best option and they are listed above under "Self-Catered"